It is really important that science teachers are sceptical about the benefits of practical work. For too long I assumed that practical work in science is good, without necessarily thinking about what learning took place as a result. This isn’t to say that practical work is not important – it is, and sits at the very heart of what science is about as it links the physical world to scientific ideas. Without practical work, science is just a collection of abstract ideas without a clear explanatory purpose. However, this doesn’t mean that the substantive ideas (facts) of science are best learnt through whole-call experimentation. A demonstration may deliver a much clearer understanding of a scientific concept. Similarly, an enquiry-based approach may not be the best forum to teach the scientific knowledge needed to understand a particular concept, but it could be a great opportunity to motivate students or to encourage them to ask questions. We must also remember that some students don’t enjoy practical work. If done badly, practicals can waste enormous amounts of time, money and may reinforce student misconceptions. They also have the potential to overwhelm students, by providing an array of distractions that increase cognitive load. Here, Robin Millar considers why practical work is important in science. Do you agree? I came across this graph at the National STEM learning centre. Each quadrant represents a possible level of procedural and conceptual demand that a lesson will place on a student. Where do you think each practical sits? How can we modify the conceptual and procedural demands of each practical to match our students? This can involve modifying the practical but think about the role of prior knowledge and skills. The success of a practical is as much about the prior-learning that took place in preparation as it is about the practical lesson itself. When doing whole-class practical work we need to make sure that we don’t overwhelm students by introducing conceptually difficult ideas at the same time as teaching procedurally difficult skills. Click on the link for more information on working memory and cognitive load. 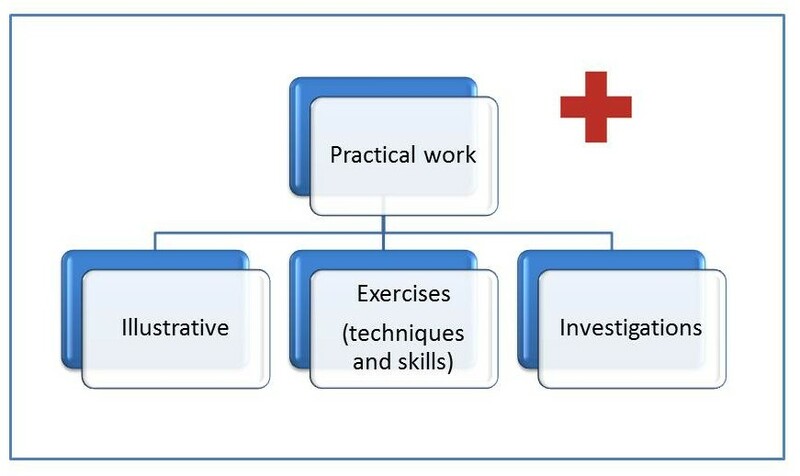 A useful framework to think about practical work in science is based on the ideas of Woolnough and Allsop (1985). They considered practical work to have one of three purposes. Click on the links below to see more information about each practical purpose. So, whatever practical framework you use, what’s most important is that you approach practical work by starting with the end point in mind – what exactly do you want to achieve? The more focused the outcome the easier it will be to achieve progress in that area and ensure students are not overloaded: develop, don’t just do! Abrahams, I. and Millar, R., 2008. Does practical work really work? A study of the effectiveness of practical work as a teaching and learning method in school science. International Journal of Science Education, 30(14), pp.1945-1969. Allsop, T. ed., 1985. Practical work in science. Cambridge University Press. Shaha, A. Are science teachers using experiments as props in lessons? Guardian, 2011. 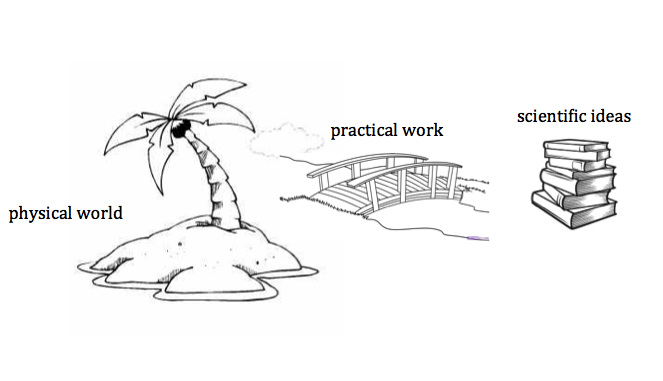 Practical work for learning applies different pedagogical approaches to practical activities. The approaches used are: argumentation;model-based inquiry; and science in the workplace. Woodley, E., 2009. Practical work in school science-why is it important.School Science Review, 91(335), pp.49-51.